information on further regions will be released later this year. never been easier than with the watch’s “find my phone” function. 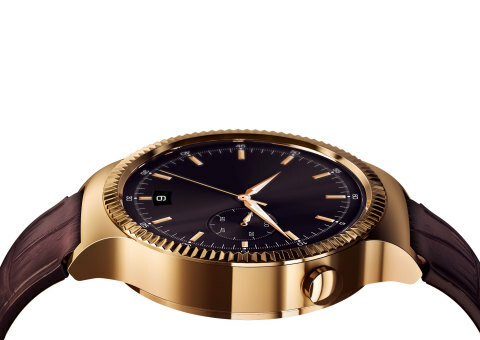 Android and iOS users will be able to connect to the Huawei Watch. fully circular face and crown located at the two o’clock position. making it the most vibrant Android Wear smart watch to date. for better skin contact and greater accuracy. different physical activities, including walking, running and climbing. Taiwan, Thailand, United Arab Emirates. have been set up in the US, Germany, Sweden, Russia, India, and China.